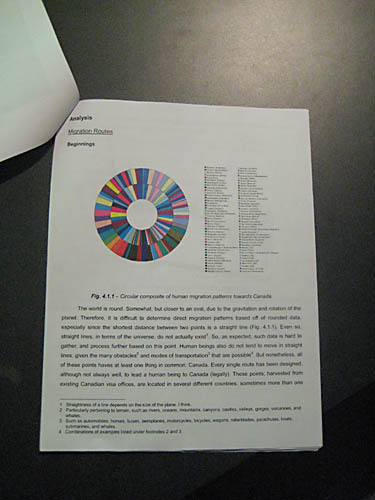 Data was collected from the Citizen and Immigration Canada webpage, “Canadian Visa Offices.” Factors considered are physical geography, areas of responsibility, office types, service lines, migration routes, modes of transportation and developedness. 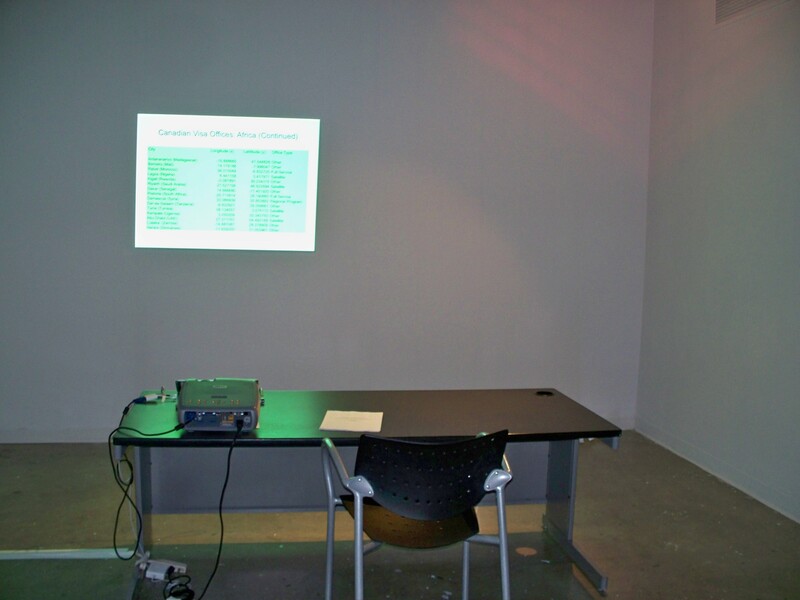 Data collected was formatted into various tables to display and reinterpret information. Additionally, the locations of visa offices abroad were plotted on a world map. Using the longitude and latitude of these locations, further data was produced. Through close analysis of this collection of detailed data, a clear sequence of actions for completing the immigration process successfully was outlined. It is failproof.